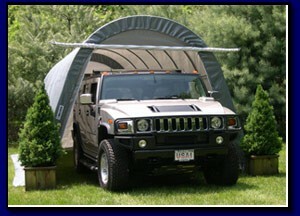 14'W x 24'L x 10'H Round Style SUV/Boat Garage Replacement Cover. Premium Fabric 10oz. Main Cover Only.